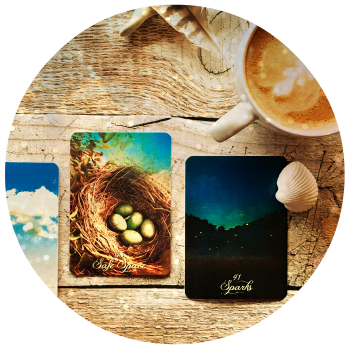 Working with oracle cards is an enchanting and powerful way to tap into our inner wisdom and intuition, receive guidance, and empower our intentions and creativity. 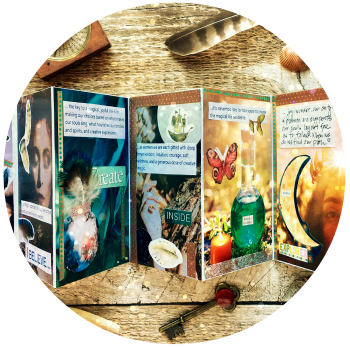 In this self-paced course you'll explore a variety of ways to work with the cards, discover those that suit you best, develop an intuitive approach to reading the cards, create custom spreads, tap into the energy of the cards to support your intentions, and much more. Enrollment now open for the spring session if you'd like to join us! 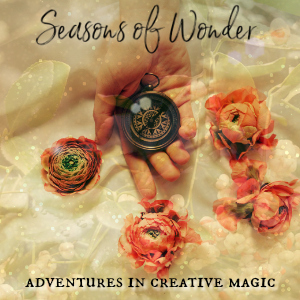 We're on a creative and magical journey through the Wheel of the Year, connecting with the delights, wisdom, and energies of each month and season. The mission? To seek out the extraordinary in the ordinary, ground yourself in the magic of the moment, and nourish your creative spirit. Romance the enchantment that surrounds and lives within you, and savor the mystery, magic, creative inspiration, and wonder of it all. 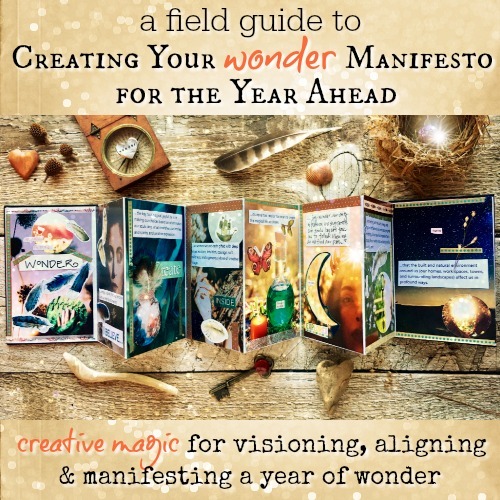 A field guide to creative magic for visioning, aligning & manifesting a year of wonder. This is your invitation to name and claim your soul’s truths, desires, aspirations, and dreams. We're plotting our path forward with a spirit of adventure, curiosity, play, and delight…and of course, wonder. This isn’t your typical approach to framing and planning the year ahead. It’s much more creative and magical than that. Are you ready to enchant your days? Visit the Softly Wild page for all the delicious details. I’ve fallen in love again with the art and creativity of well-written e-missives that go straight to our inboxes. Maybe it goes back to my many years as a blogger, but as a reader and a writer the fleeting sound-bites of social media posts just don’t hold the same magic for me. They’re fun and can be interesting, but there’s not as much there there. But getting something truly creative and interesting right into my inbox? Yeah, that’s golden to me. Some folks call them newsletters, some call them love letters. Me, I just call mine dispatches. That’s how I see them – a field report from my world to yours full of news, ideas, musings, interesting links, cool discoveries, and updates about what I’m up to in the wilds of the studio and beyond. They’ve become a creative project all of their own this year and I’m loving it. A new issue typically goes out every week or two. You can have Field Notes arrive all magical-like in your own inbox over here. Starting in February 2019, I’ve begun archiving the issues here at the Mojo Lab, too. You can read the latest issue over here. 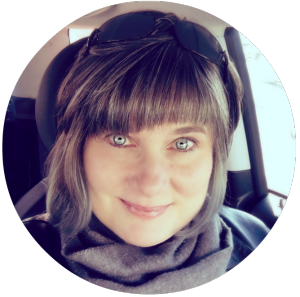 I’m a writer, artist, creative mentor, and wonder mystic. I serve as the Creative Catalyst and resident Hedge Guide here at the Mojo Lab. My work explores the intersection of creativity, earth wisdom, magic, and intuition. 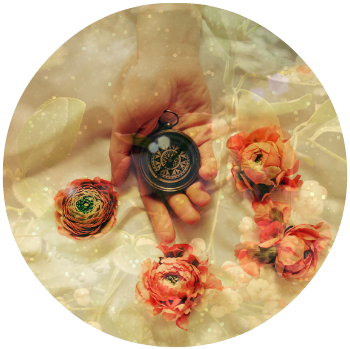 Through my courses and other offerings, I help women forge a stronger connection with their inner wisdom, courage, and creative spirit, as well as the natural world around them, so they always know where their true north lies. And that’s where the real adventure begins. If you’re ready to explore the wonder and magical wilds beyond the hedges and edges of the busy-worshiping world we live in, you’ve come to the right place. Please make yourself at home and wander around the lab a bit. I’m so very glad you’re here.